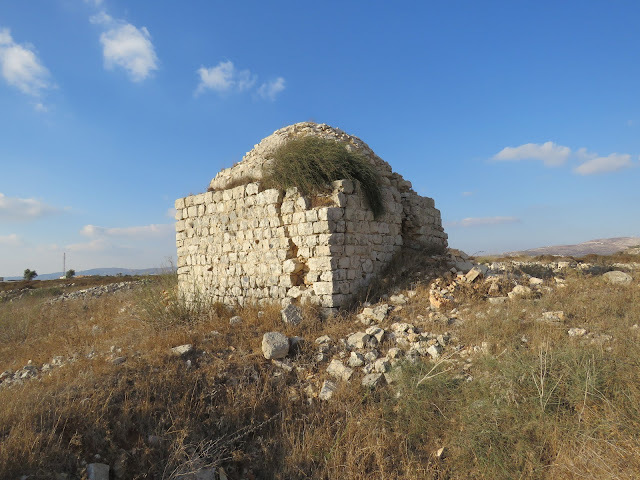 The tomb of nabi Isma’il refers to Palestinian village Burin (to the south from Nablus) and was initially called the maqam of sheikh Abu Isma‘il or even Abu Isma‘in. The name kept on to be mentioned in the early 19h century, and the Palestinian map of G. Shumaher. 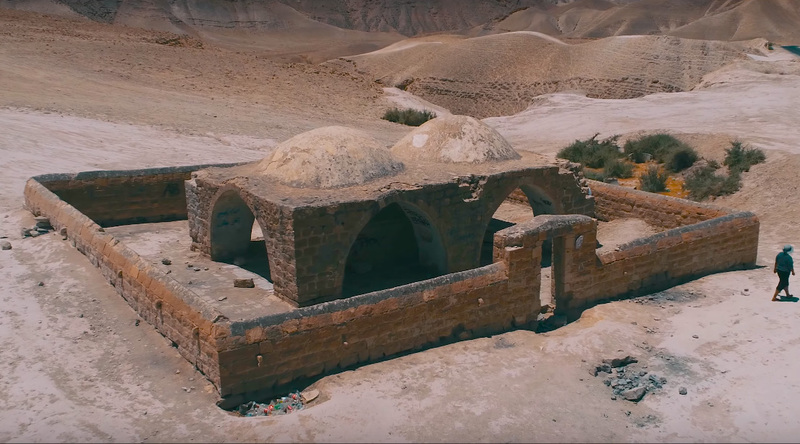 During the British Mandate sheikh Abu Isma‘in turned into nabi Isma‘il, probably there was an allusion to patriarch Ishmael from the Old Testament. The residents of Burin made such a change in order to attract pilgrims to the tomb, as they got extra revenue from that. 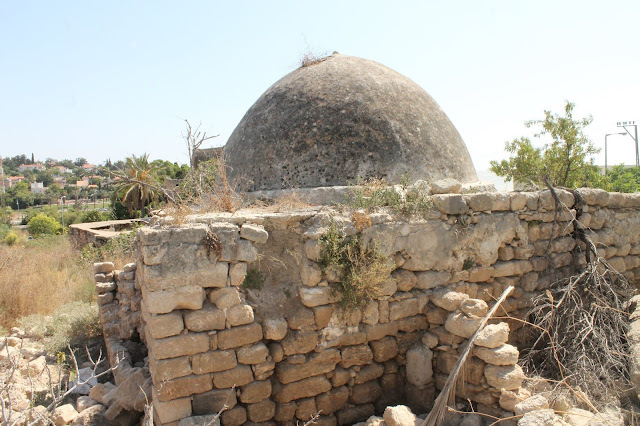 However, the nearest mountain is called Jebel Abu Isma‘il and in modern booklets the tomb is called Abu Isma‘il shrine (title nabi avoided) (Burin Village Profile, p. 6). Thus, it is gradually ganging back to the initial name of the shrine. 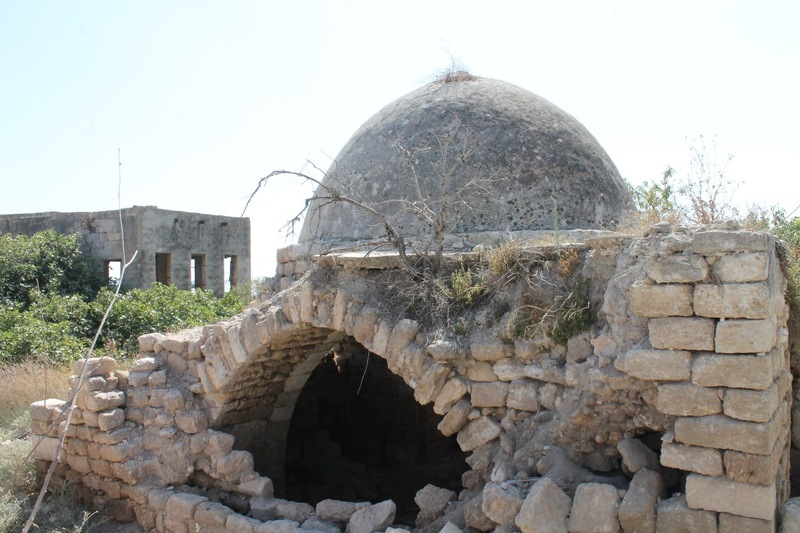 The structure is quite a prominent building, more than 4 m high, with a dome 1.5 m. The entrance is from the north. The inner plan resembles the tomb of nabi Kifl (see Section 2. Tombs of the Prophets): the same two interconnecting vaulted chambers, separated with an arch. A small mihrab without decorations stands at the S wall in the second chamber. No traces of cenotaph anywhere. The shrine is surrounded with stone wall with a few entrances. The northern part of the wall forms a small yard in front of the entrance to the tomb. Nearby the tomb to the west there are a few building of different purposes. 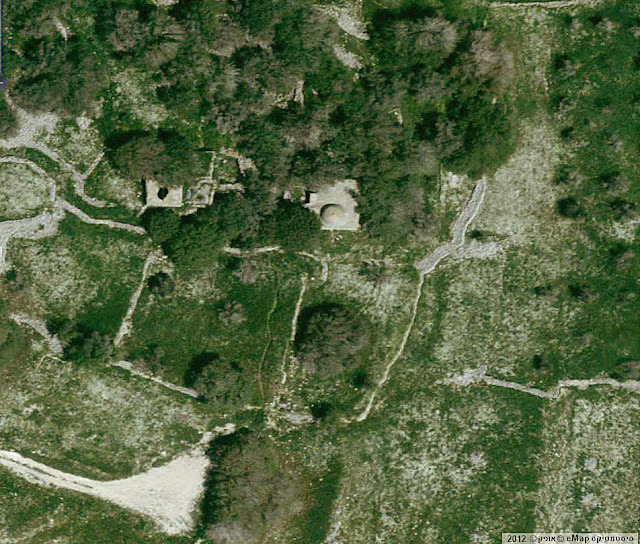 Some of them are probably hammams (bathhouses). The shrine is located on the edge of the steep slop of the mountain. 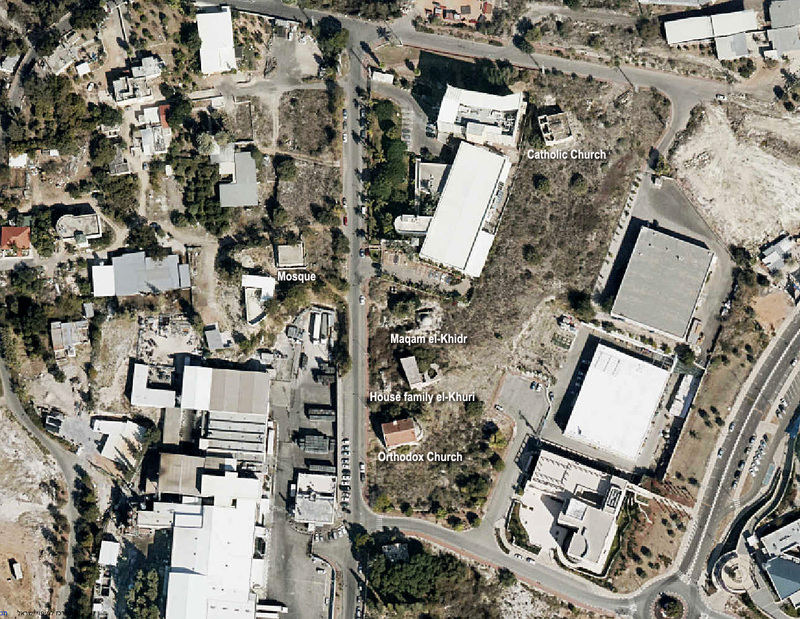 It used to be observable from the road to Nablus, but now it is hidden in the shadow of trees. 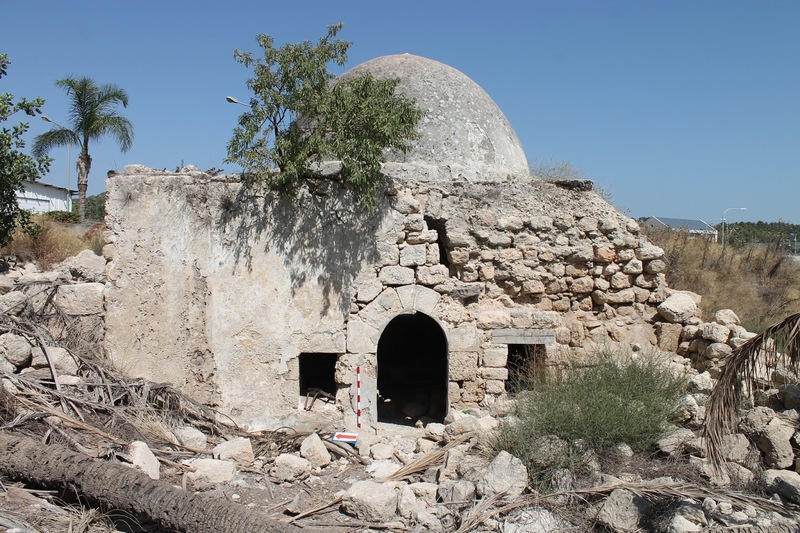 After, in 1983 Har Brakha, an Israeli settlement was established as well as an especially advanced outpost Giv'at Sne Ya'akov on Jebel Abu Isma‘il, the residents of Burin lost control over their shrine. The Jewish among the Israeli people perceived that tomb’s name as a reference to Ishmael from the Old Testament, who was the ancestor of Arabs and made a Hebrew inscription on the tomb’s wall: “Eretz Israel (The Land of Israel) is for nation Israel (Jewish), and not for Isma’il (Arabs)”. The Jewish set a few wooden tables and benches and made somewhat like a rest area on the lawn nearby. Route. At the checkpoint of Huwwara turn to the road leading to Israei settlement Har Brakha. In 1.3 km at the crossroad turn left and follow a track road 300 m up the tomb. One more dilapidated Muslim shrine is in Samaria, nearby Israeli settlement Kdumim, on the territory of the Industrial zone of this settlement. It is the fifth Palestinian maqam of imam ‘Ali, which used to belong to Arabic village Qusin. 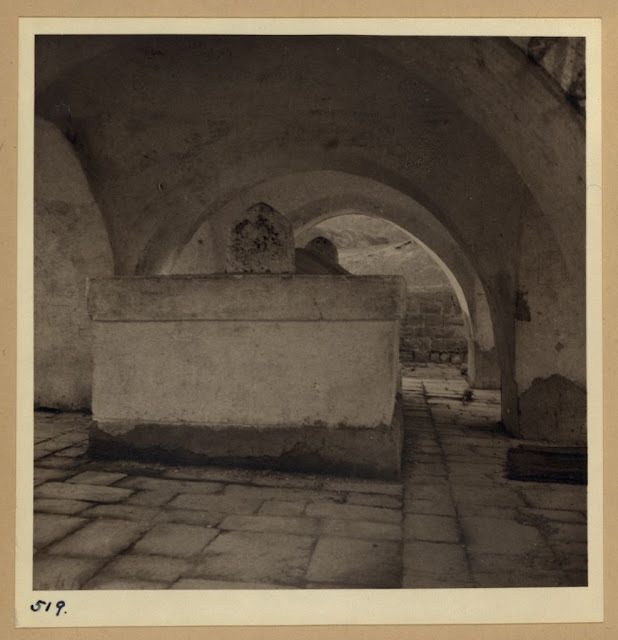 The European explorers of the 19th century knew this shrine and marked it on the PEF map of 1879 (Sheet XI). 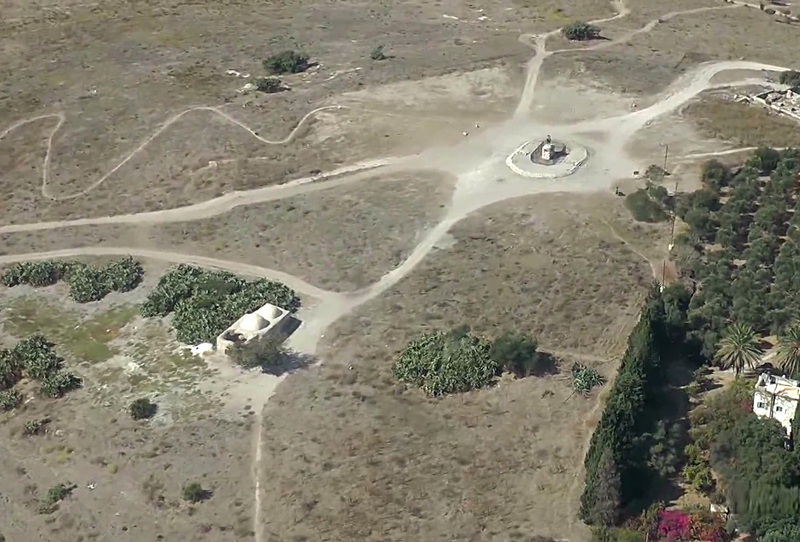 When the maqam turned to be on the Israeli Industrial zone, it became difficult for Plestinian Arabs to visit it. 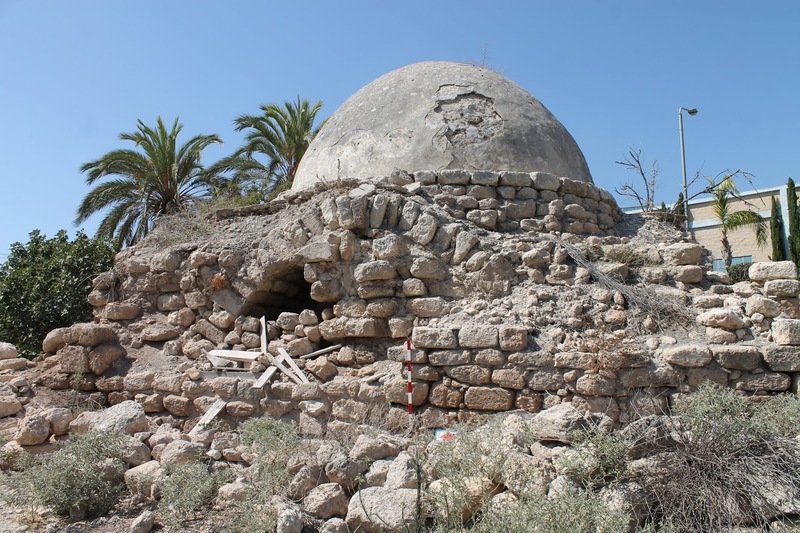 The structure is 5.22 x 5.08 m and consists of a domed burial chamber with the entrance on the N side. There is a mihrab in the S wall and a small niche (taqah) for a lighter in the W wall. The interior of the maqam is very simple: there is no vaulted arches or decorations. Though the brickwork witnesses that a building is quite ancient. It can be dated to the Ottoman period. On the W wall a big Star of David drawn by the Jewish settlers. 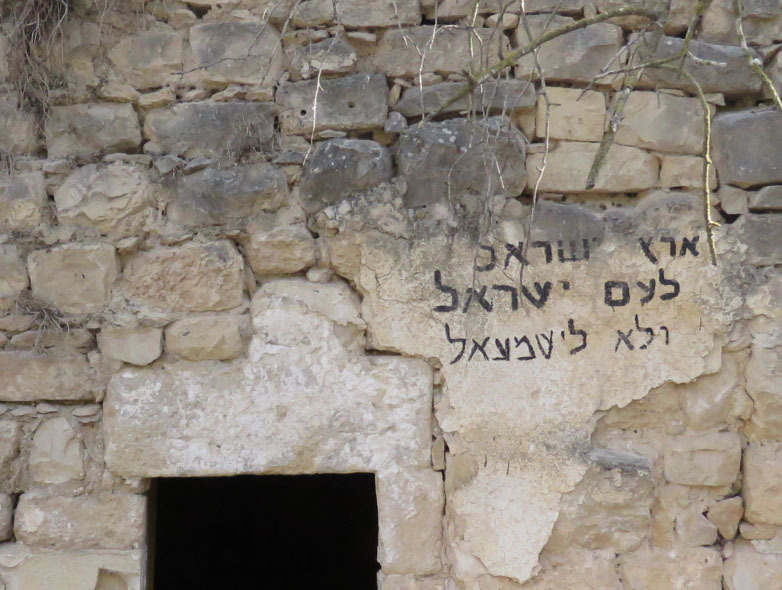 There are quite a few Hebrew inscriptions both inside the and outside. There are also some old Arabic inscriptions. 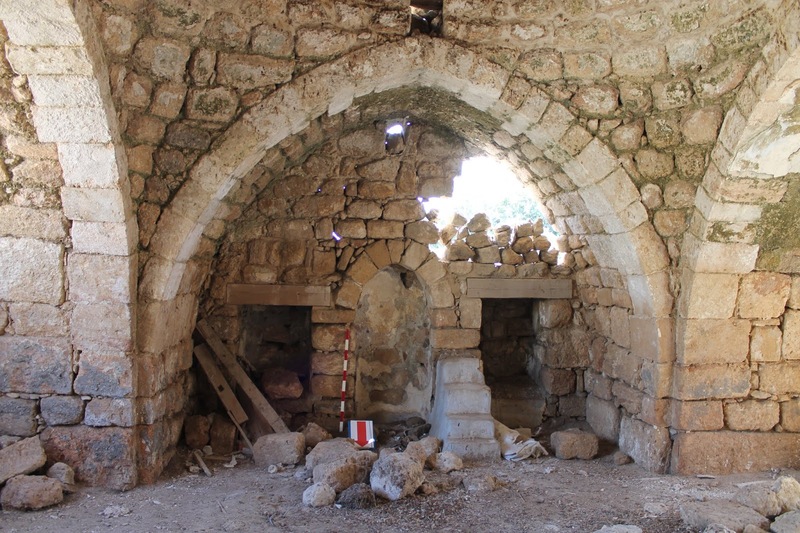 A slow destruction of the shrine is going on: the wall with the mihrab has partly collapsed, a big hole has appeared in the dome, the W wall has cracked outside. 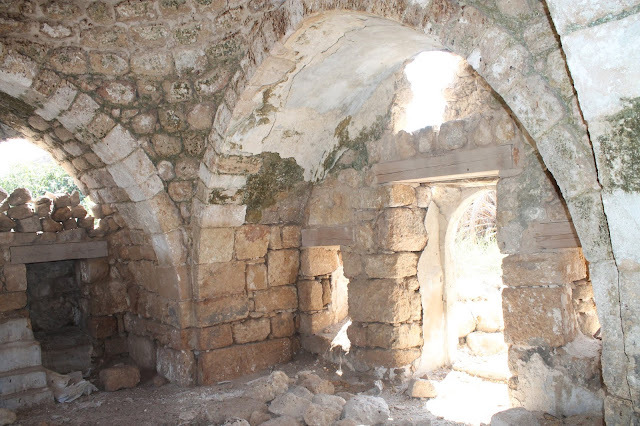 It is a monumental building, which used to be a jewel of Palestinian village al-Bassa, and now it stands in an Israeli settlement called Shlomi. W. Khalidi commented on it, “The Muslim shrine is domed and stands deserted in the midst of many trees, including two palms” (1992, 9). A. Petersen described it as follows, “The maqam consists of two parts, a walled courtyard and a domed prayer room. There is a mihrab in the south wall of the courtyard and a doorway in the east wall leading into the main prayer room. The dome is supported by pendentives springing from four thick piers which also support wide side arches. In the middle of the south wall there is a mihrab next to a simple minbar made of four stone steps” (2001, 111). The maqam is dedicated to a holy man al-Khidr, who is according to the Muslim traditions a Quranic teacher of Musa the Prophet (18:65–82). He is also associated with biblical Elijah the Prophet. The western wall is 9.20 m long, and the south – 8.85 m. A spacious prayer room let the maqam to be used as a little mosque. The minbar proves that, as well as one more mihrab in the inner yard. Probably, this structure served as a mosque for the Muslims of al-Bassa until a new spacious mosque was built in the settlement in the 19th century. The question is: was there the sheikh's cenotapn inside the maqam? Only the cenotaph could characterize this building as a maqam. Now it is very difficult to find out the existence of the cenotaph. The floor is covered with wreckage, planks and rubbish. 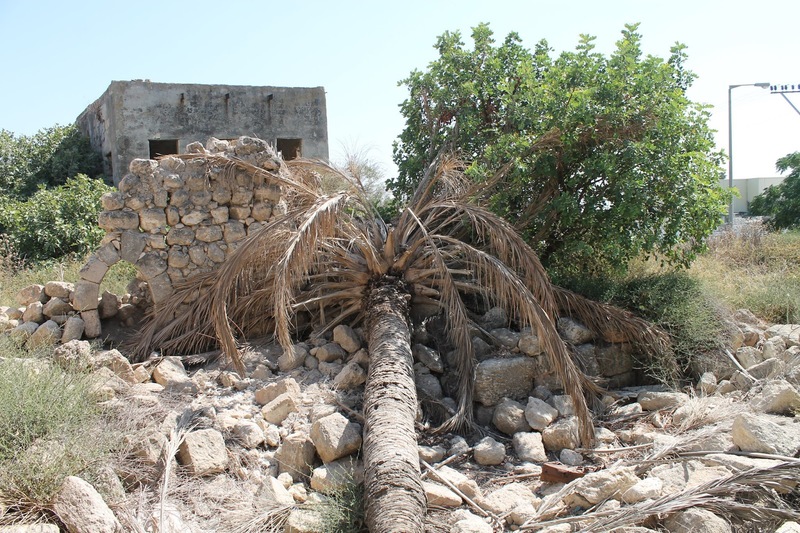 W. Khalidi saw 2 palm trees in the yard, A. Petersen saw only one. Now this very palm tree fell down and blocked the entrance to the shrine. When comparing the photo in Petersen's book with the current view, you may notice further destruction. The south wall of the inner yard is badly damaged, though the mihrab partly survived. 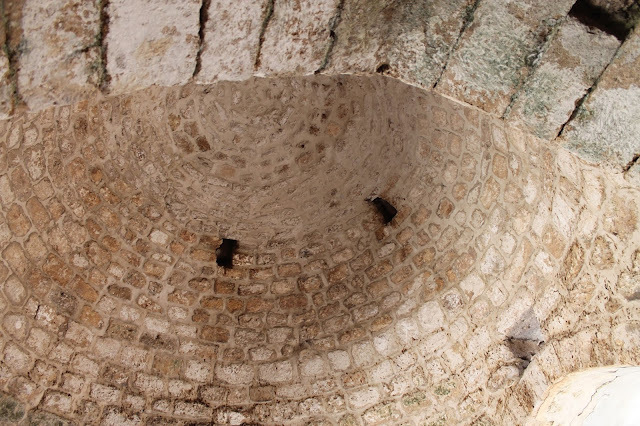 The west, east and south walls of the maqam started to collapse. The overall condition of the monument is quite deplorable. Route. The maqam is located to the east from industrious zone Shlomi and to the north from Highway 899 that goes through the settlement. Here is a historic quartal, where besides the maqam abandoned orthodox and catholic churches, and also a family house of the al-Khuri. 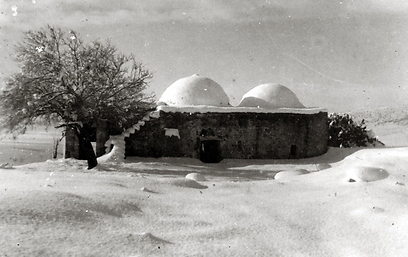 In the scientific research literature of the 19th century the maqam of sheikh Abreik is mentioned quite often. It is one out of five the most famous Muslim shrines in Palestina. A village named Cheik Abrit was marked on Jacotin's map in 1799. During the Palestinian campaign of N. Bonapart the height, where the settlement is located played an important strategic role. Researchers called the sheikh differently: Abrek, Abreik, Ibreik, Ibrak, Bureik, Burayk. The maqam is dated to the 16th century, though has been often rebuilt since then. 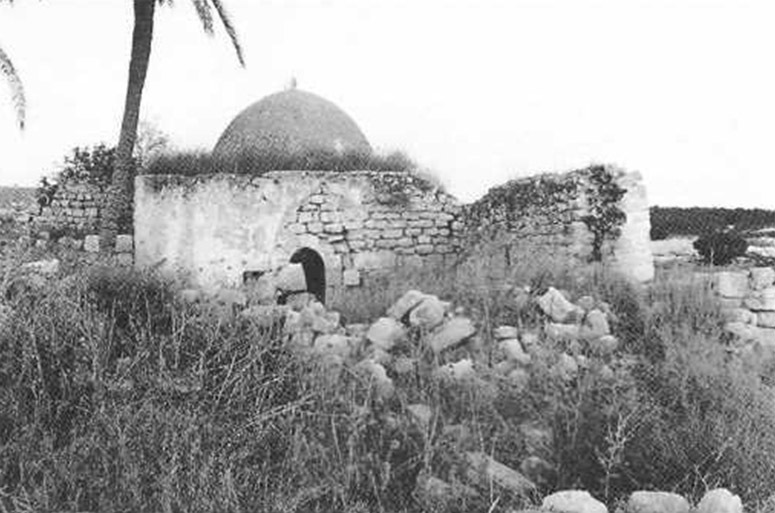 C. Conder described sheikh Abreik as a small village situated on a hill with a conspicuous Maqam (Sanctuary) located to the south (SWP I, 273).